LGBT Representation Among Lawyers in 2016 (NALP Bulletin, January 2017) — The overall percentage of openly lesbian, gay, bisexual, and transgender (LGBT) lawyers reported in the NALP Directory of Legal Employers (NDLE) in 2016 increased by a small amount to 2.48% compared with 2.34% in 2015. LGBT Representation Among Lawyers in 2015 (NALP Bulletin, December 2015) — The overall percentage of openly lesbian, gay, bisexual, and transgender (LGBT) lawyers reported in the NALP Directory of Legal Employers (NDLE) in 2015 increased by a very small amount to 2.34% compared with 2.30% in 2014. However, most of the increase can be attributed to an increase among associates, from 2.93% to 3.08%. Representation of LGBT attorneys among partners was almost flat, and it decreased a bit among other attorneys. New Research on Employment Outcomes for Lesbian, Gay, and Bisexual Graduates (NALP Bulletin, November 2015) — LGBT graduates are much less likely to take a job in private practice and much more likely to take a job with a public interest organization. LGBT Representation Among Lawyers in 2014 (NALP Bulletin, March 2015) — The overall percentage of openly lesbian, gay, bisexual, and transgender (LGBT) lawyers reported in the NALP Directory of Legal Employers (NDLE) in 2014 increased to 2.30% compared with 2.19% in 2013. 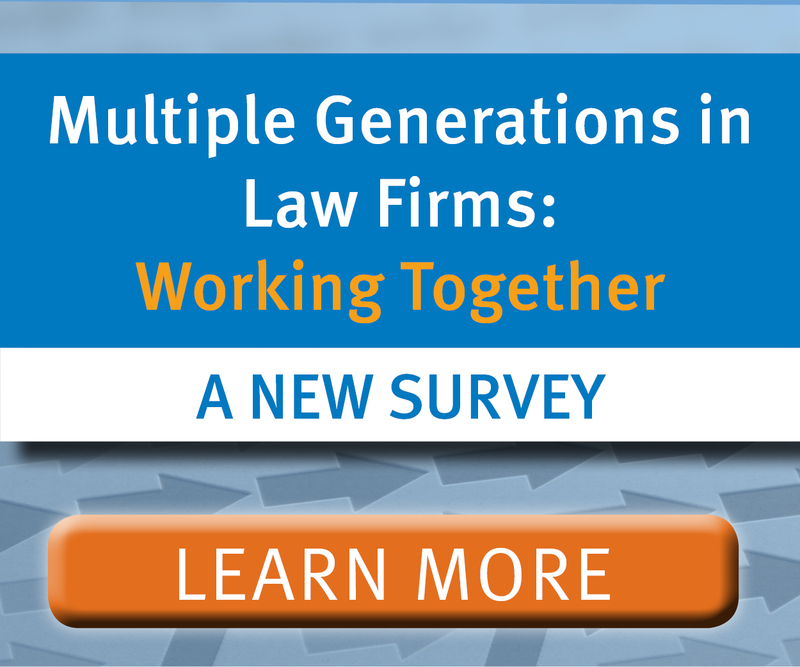 Percentages increased across all categories — partners, associates, and other lawyers — by about one tenth of one percent. Over 40% of offices reported at least one LGBT lawyer among partners and associates. LGBT Representation Up Again in 2013 (NALP Bulletin, January 2014) — The overall percentage of openly lesbian, gay, bisexual, and transgender (LGBT) lawyers reported in the NALP Directory of Legal Employers (NDLE) in 2013 increased to 2.19% compared with 2.07% in 2012. Percentages for both partners and associates increased. About half of offices reported at least one LGBT lawyer. LGBT Representation Up in 2012 (NALP Bulletin, January 2013) — The overall percentage of openly gay, lesbian, bisexual, and transgender (LGBT) lawyers reported in the NALP Directory of Legal Employers (NDLE) in 2012 increased to 2.07% compared with 1.88% in 2011. Percentages for both partners and associates increased. Over half (56%) of offices reported at least one LGBT lawyer. Most Firms Collect LGBT Lawyer Information, LGBT Representation Steady (NALP Bulletin, December 2011) — The overall percentage of openly gay, lesbian, bisexual, and transgender (LGBT) lawyers reported in the NALP Directory of Legal Employers (NDLE) in 2011 remained unchanged compared to 2010. A small increase in the percentage for associates was offset by a decrease at the partner level. Almost half (49%) of offices reported at least one LGBT lawyer. 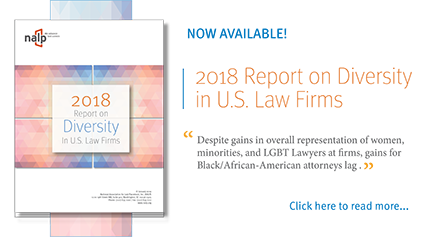 Most Firms Collect LGBT Lawyer Information — LGBT Representation Up Slightly (NALP Bulletin, December 2010) — The overall percentage of openly lesbian, gay, bisexual, and transgender (LGBT) lawyers reported in the NALP Directory of Legal Employers (NDLE) in 2010 rose compared to 2009. Almost half (49%) of offices reported at least one LGBT lawyer. Although Most Firms Collect GLBT Lawyer Information, Overall Numbers Remain Low (NALP Bulletin, December 2009) — The number of openly gay, lesbian, bisexual, and transgender (GLBT) lawyers reported in the NALP Directory of Legal Employers (NDLE) rose again in 2009, as it has every year since NALP began analyzing this information in 2003. About 47% of offices reported at least one GLBT lawyer. Overall, however, the numbers remain relatively small, and in some cases larger numbers do not translate into higher percentages. Reported Number of Lawyers with Disabilities Remains Small (NALP Bulletin, December 2009) — Of the approximately 110,000 lawyers for whom disability information was reported in the 2009-2010 NALP Directory of Legal Employers (NDLE), just 255, or 0.23%, were identified as having a disability. Law Firms Report More GLBT Lawyers, But Numbers Remain Small (NALP Bulletin, November 2008) — The number of openly gay, lesbian, bisexual, and transgender (GLBT) lawyers reported in the NALP Directory of Legal Employers (NDLE) rose again in 2008, as it has every year since NALP began analyzing this information in 2003. In total, about 45% of offices reported at least one GLBT lawyer, but overall the numbers remain small, and the net increase in the number of GLBT lawyers reported since 2003 has been minimal. 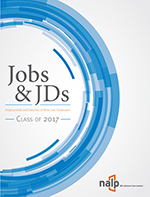 Although Most Firms Collect GLBT Lawyer Information, Overall Numbers Remain Low (NALP Bulletin, December 2007) — The number of openly gay, lesbian, bisexual, and transgender (GLBT) lawyers reported in the NALP Directory of Legal Employers (NDLE) rose again in 2007, as it has every year since NALP began analyzing this information in 2003. Also, the percentage of offices reporting at least one GLBT lawyer increased slightly. 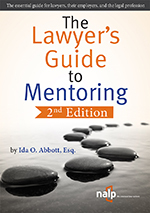 In the 2007-2008 NDLE, the number of openly GLBT lawyers stands at 1,884 and 1.52% of the total lawyers represented. Most Firms Now Collect GLBT Lawyer Information, Yet Overall Numbers Remain Low (NALP Bulletin, December 2006) — The number of openly gay, lesbian, bisexual, and transgender (GLBT) lawyers reported in the NALP Directory of Legal Employers (NDLE) rose again in 2006, as it has every year since NALP began analyzing this information in 2003. Four years ago, the number of openly gay lawyers reported in the 2002-2003 NDLE was just over 1,100, less than 1% of the total lawyers represented. In the 2006-2007 NDLE, the number of openly GLBT attorneys now stands at 1,733, 1.42% of the total lawyers represented in the most recent directory.